11 people killed in Plateau – Royal Times of Nigeria. 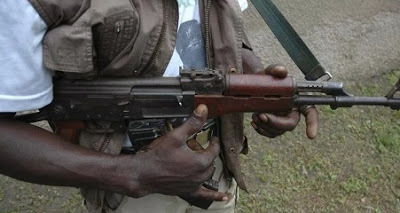 Eleven people were on Tuesday night shot dead by gunmen along Rim, Riyom Local Government Area of northern Plateau State. Riyom is the Plateau local government that links the state to Abuja, Kaduna and Nasarawa states. Plateau recently witnessed renewed violence between herdsmen and locals causing the death of dozens of people. The Police Public Relations Office of the Plateau State Police Command, Terna Tyopev, confirmed the incident to Premium Times in a telephone interview Wednesday morning. He said police are on the trail of the attackers. No group has claimed responsibility for the attack and there were no immediate suspicions of the identity of the attackers. There were, however, rumours that Tuesday’s attackers were dressed in military uniform.